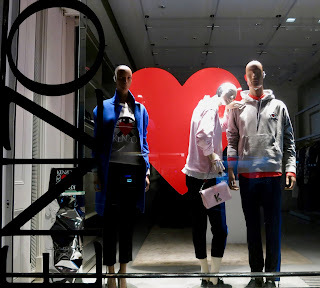 We don't often manage to capture the Kenzo schemes here in London as the security grilles are usually down as we peruse the city at night time. However, thankfully they seem to have been lifted recently and we can now show you their schemes without the dreadful obstruction. 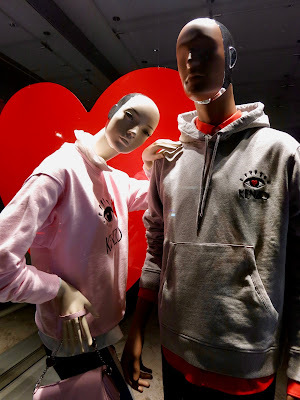 Here at the brand, mannequins with shiny metal plates added to their heads and of course the obligatory heart motif nodding to the oh-so-special day that is Valentines is their current scheme right now.